As I stand in front of the bar aisle at the grocery store, I am constantly reminded of how unpure many of the bars are. And even those that seemingly have pure ingredients often are not organic. 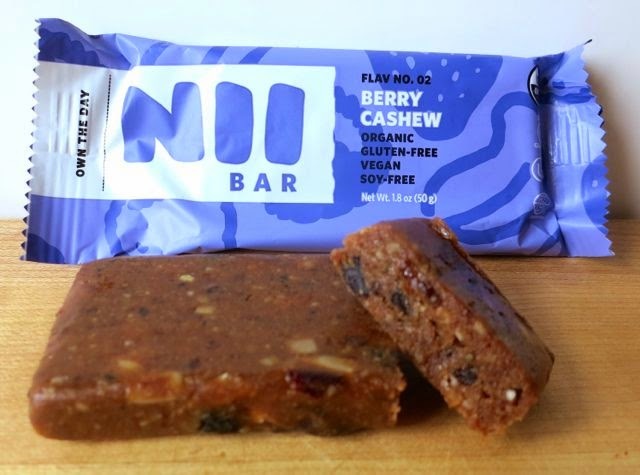 So when I discovered Nii bars, I was delighted. It really is the wholesomeness that got me excited. 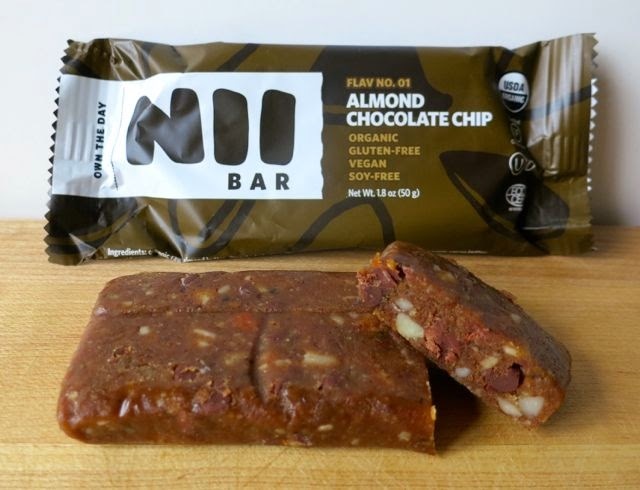 These bars are vegan, certified organic, gluten-free, raw, and made with cold-pressed ingredients. The Cherry Coconut was definitely my favorite. Made with raw cashew butter, dates, coconut nectar, dried tart cherries, walnuts, coconut, sunflower seeds, rice protein, hemp seeds, and sprouted quinoa, it had a smooth texture and great flavor. I also loved the Peanut Butter flavor loaded with chocolate chips! Who knew there were chocolate chips in there? I think this one should be called Peanut Butter Chocolate Chip, but, regardless, it was yummy. I should mention that it is on the high side of fat content at 12 grams of fat for a small 1.8-ounce serving, but it is all good fats so I didn't mind. The calorie content was 220. Then there was the Almond Chocolate Chip. This one was particularly chewy and sticky, but I loved the big pieces of almonds and chocolate chips. The Berry Cashew as probably my least favorite as it had a few too many berries in it for me. This one would be great for all the berry lovers out there! With cranberries, blueberries, and strawberry flavor, you'll be rolling in berries. So who is behind these bars? Shanais Pelka is her name and nutrition is her game. As a mother with three active children, she was on the search for the perfect on-the-go food, but didn't want to compromise her health just because they were busy. 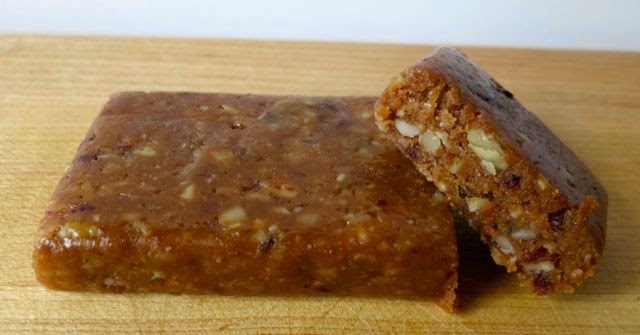 So she began the quest to develop the perfect nutrition bar. And the rest is history. 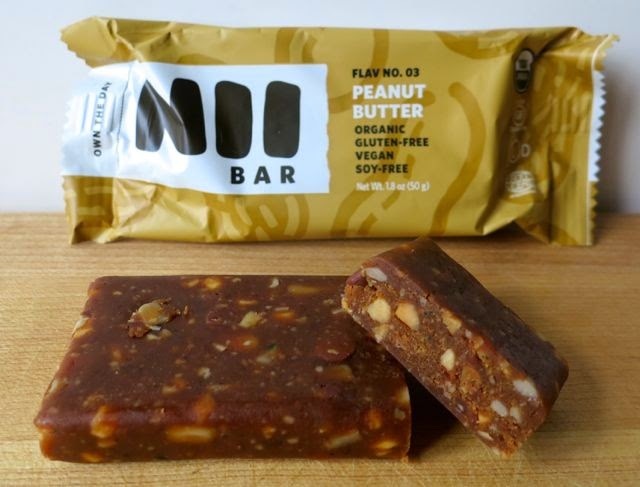 As a new company, the bars are not yet widely available and are not at all available on the east coast. You can currently buy them online for $2.99 each on the Nii website or search for a store near you here. 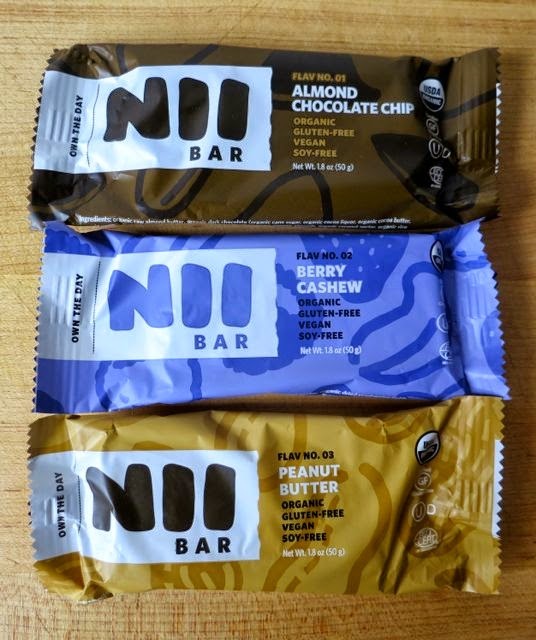 With Nii bars, you can Own the Day! Awesome! I need some more!